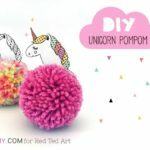 Yep it is time form some homemade Unicorn DIY or easy Unicorn crafts!! 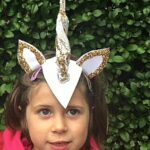 My kids are unicorn mad (o.k… maybe not my kids, I AM unicorn mad!!!! Teehee). 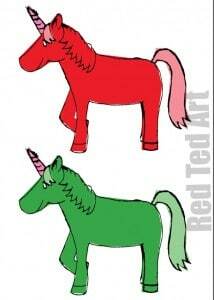 We love those golden horse, we love the rainbow manes.. and sparkly magicalness that is a Unicorn. 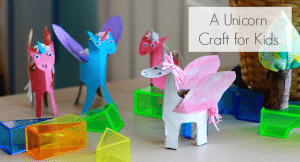 Finally, I have had the chance to bring together all our Easy Unicorn Crafts in one place! 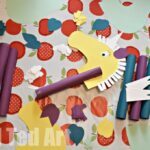 I do hope you enjoy these easy kids crafts.. some are wonderful Paper Crafts, others include some great Free Printables. If there is anything you are DYING To see that we haven’t had a go at yet.. please do leave me a comment below and I will see what we can do! 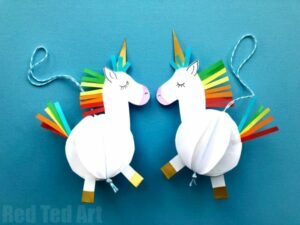 3d Unicorn Decorations made from paper (includes printable) – ridiculously easy AND fun to make. 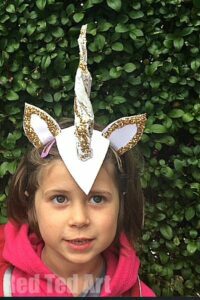 Choose to follow our step by step paper unicorn decoration instructions OR make use of the handy printable. Easy peasy lemon squeasy! Enjoy. 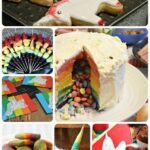 Same idea, but turned into a fantastic Pop Up Unicorn Cards – what is not to love? This one also includes the free printable!! 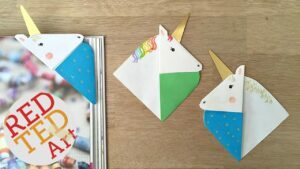 We can’t have a Unicorn Crafts round up.. and not include a Unicorn Corner Bookmark. 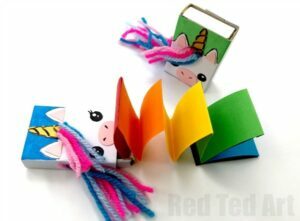 We certainly LOVE Corner Bookmarks here on Red Ted Art, so a Unicorn Bookmark Corner is a must.. and yes, you guessed – EASY! Looking for that next challenge? 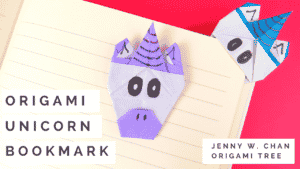 Try your hand at these Origami Unicorn Bookmarks by my friend the Origami tree! 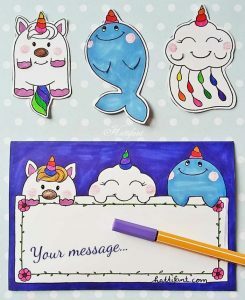 Super cute Unicorn Bookmark Printable Trio – Unicorn Hug A Book, Narwhale and rainbow cloud. Aren’t these the cutest? Hop over to Hattifant for your copies! 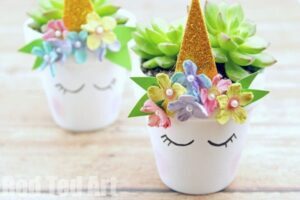 Unicorn Planter DIY – these darling Unicorn Planters are surprisingly easy to make (cough, isn’t almost EVERY thing on Red Ted Art EASY to make… teehee). 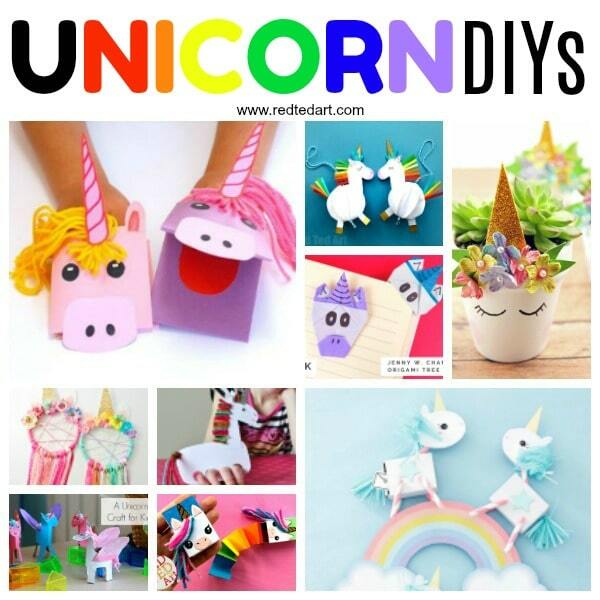 They make a great Spring craft, Mother’s Day Gift Idea or just a wonderful Unicorn Room Decor. Love. 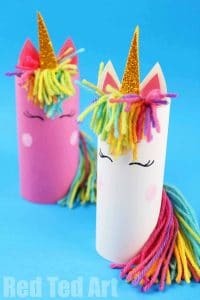 Super cute and easy..
How to make seriously cute Fairy Peg Dolls and a Unicorn! 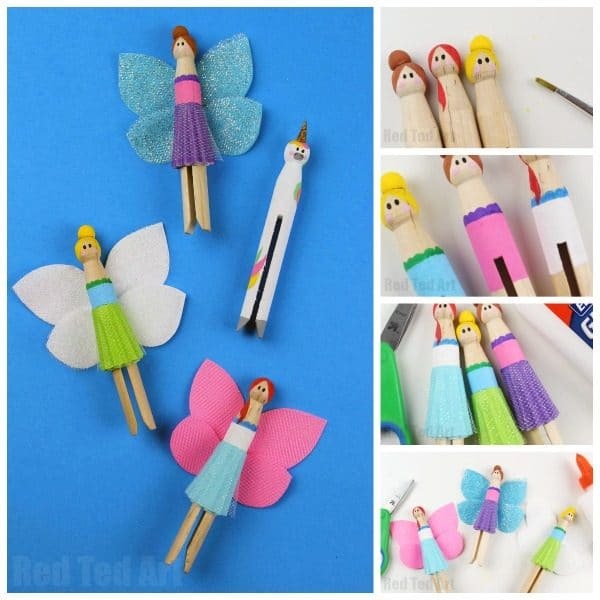 these would be a GREAT party craft. 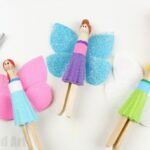 Make the fairies as a party craft with the kids and give the Unicorns in the Fairy Party Favour bags or make the kids “hunt around for it” during the party! 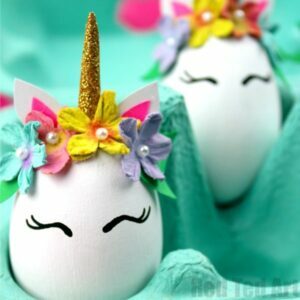 Oh yes, don’t wait until Easter to make these adorably quick and easy Unicorn DIY Easter Eggs. 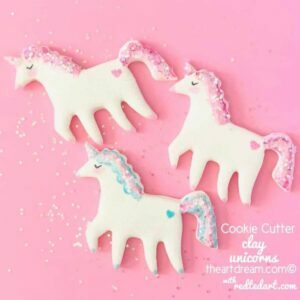 Looking for that magical Easter Decor.. and these Unicorns are just the thing! 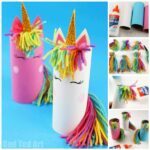 How about a crafter-noon making some Unicorn Puppets out of TP Rolls? Aren’t these magical?! 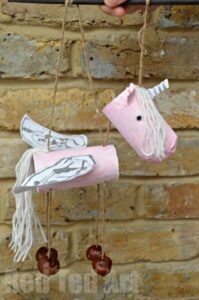 We also love these wonderful Paper Unicorn Puppets (very similar to our popular Paper Dog Puppets) by the wonderful Make, Film, Play! 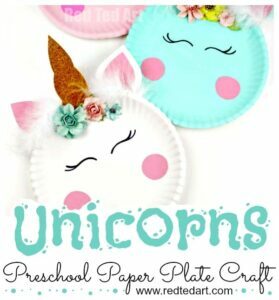 Or how about this super duper cute Paper Plate Unicorn Craft Idea? 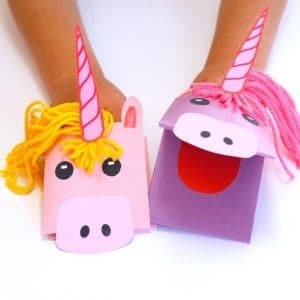 The perfect Unicorn Craft for Preschool and complete with templates! 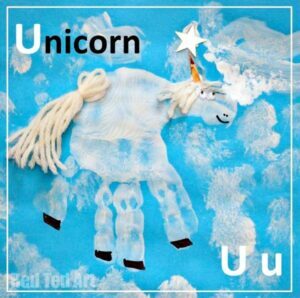 This adorable Handprint Unicorn Craft was made MANY moons ago, when Red Ted and I explored the whole ANIMAL Handprint Alphabet. I still think it is super adorable! 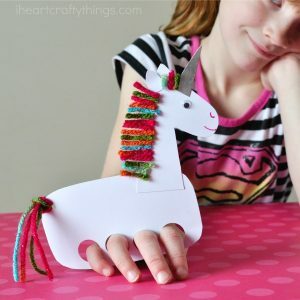 Super cute and easy Unicorn Finger Puppets – the kids will love to make this magical craft! 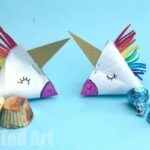 And how fun are these super magical TP Roll Unicorns via The Artful Parent? 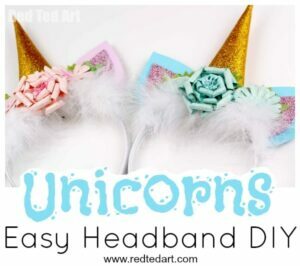 A must make for sure! 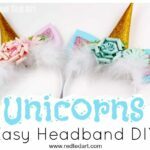 How to make a DIY Unicorn Headband from Paper! Yep.. this little head band is made from a paper bag. 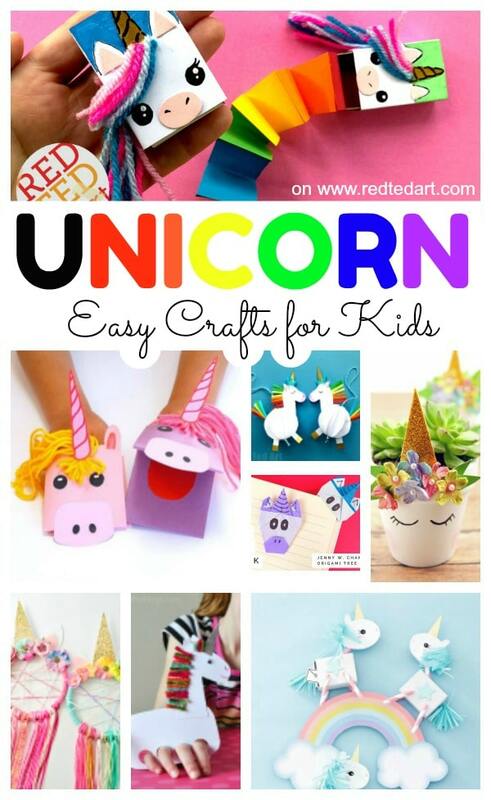 Fun, quirky and easy. 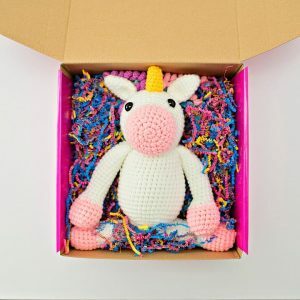 And perfect for that inner unicorn dying to get out! 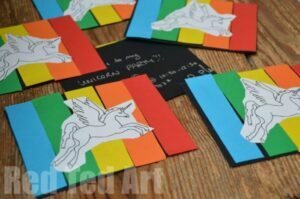 DIY Unicorn Party invites for young kids to help make – these were super easy and fun for my then 5yrs old to make. She was so pleased with them and I think they looked really cute. A great opportunity to practice cutting skills and colour sequencing! 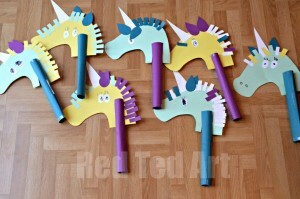 And our Unicorn Party Craft making DIY Paper Unicorn Hobby Horses. 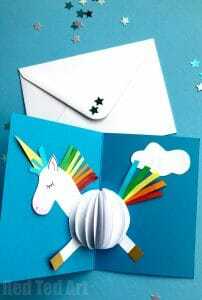 These happened to be the colours of light card I had at home.. but they would look amazing with some rainbow manes and sparkly horns, don’t you think?! 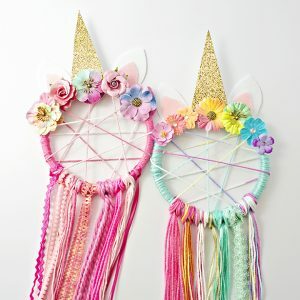 A great party craft for slightly older kids are these beautiful Dream Catcher inspired Unicorn Decorations by HelloWonderful! 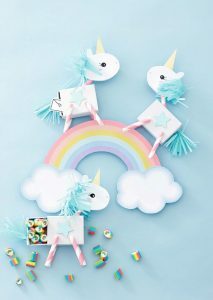 What is not to love about these super duper cute and easy Unicorn Favour Boxes from HelloWonderful?! I love these designs! 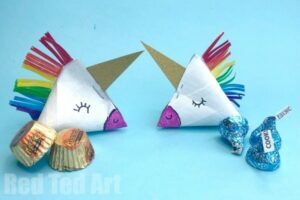 The unicorn treasure hunt is such a cool idea. Great ideas good colors and theme thanks for sharing.